"Campaign Beat" is back with political analysis for the 2018 Montana elections. In the first edition for 2018, Sally Mauk, Chuck Johnson and Rob Saldin look at the crowded fields in Montana’s primary election races, and the impact of the rift between President Trump and Steve Bannon. Sally Mauk: Welcome to "Campaign Beat," our weekly political analysis program. I'm Sally Mauk and I'm joined by University of Montana political science professor Rob Saldin and veteran Capitol reporter Chuck Johnson. And guys welcome back to the microphones and Happy New Year. Chuck Johnson: Happy New Year to Sally and Rob and let's hope it's a great year. SM: Well Chuck, two of Montana's three members of Congress are up for re-election this year. First term Congressman Greg Gianforte and two-term Senator Jon Tester. And both races will draw a lot of national attention and money, especially the Tester race. And both incumbents face a slew of potential challengers. There are six Republicans who want to face off with Tester, Chuck, but only one of them arguably has statewide name recognition. CJ: That's right Sally and it's Matt Rosendale who's the state auditor. And Rosendale is a former state senator, former state representative and won the state auditor's job in 2016. That's an important state office because he oversees insurance and securities in Montana and sits on the state Land Board. So it's a prominent state office. SM: And then the other five candidates, let's run through those really quickly. CJ: We also have running a Troy Downing and he's a businessman who lives at Big Sky. And we have Russell Fagg who's a retired district judge in Billings and he also served in the Legislature. The other three names are State Senator Al Olszewski, an orthopedic surgeon from Kalispell, and then Ronald Murray, a Belgrade man who's run for the state Legislature, and also James Dean from Havre. And we might mention here that James Dean's wife Sarah is running as a Democrat for the U.S. Senate. So we have the unusual situation of a husband and wife running for the same seat in opposite parties. 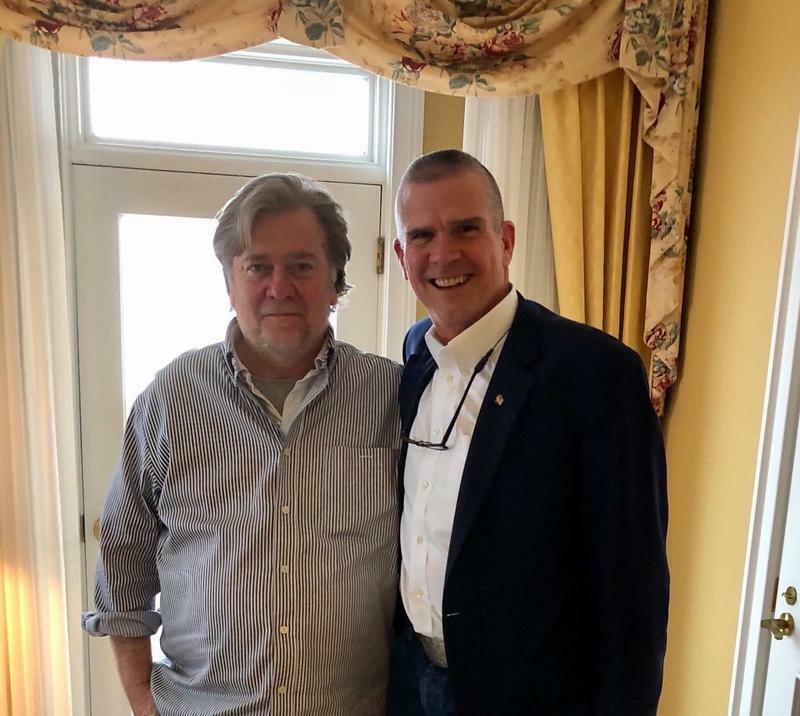 SM: Matt Rosendale has previously bragged about being endorsed by Steve Bannon. And one wonders if he will continue to tout that endorsement in the wake of the falling out between Bannon and President Trump this week. CJ: That's correct. Today he's just said through his spokesman he appreciates all his endorsements, so he's not said one way or the other, so we'll wait and see. But certainly the Bannon connection was well publicized when he got the endorsement. SM: He publicized a photo of him and Steve Bannon standing next to each other and grinning widely, and obviously it was an endorsement, that at least at that point in the campaign, he sought and was happy to have. Narrator: Troy Downing's spent years rescuing soldiers in trouble. Now he sees our country in trouble. Troy also sees a president firmly in control. Speaking the truth. Fixing what's wrong. Standing up to the press. Build the wall. Bring back jobs. Stand up to the left. Troy's got President Trump's back. Troy Downing's a Montanan. He's one of us. SM: That last line, "he's one of us," may be his toughest selling point. Chuck. CJ: Well it is Sally. He got in trouble with the State Department of Fish, Wildlife and Parks for applying for in-state hunting licenses when in fact at the time, according to FWP, he was a California resident. So there is this ongoing controversy that hasn't been resolved. He's fighting it in court and to date we don't have a ruling, but he will be definitely tagged as an out of state candidate, although he has lived in Montana for several years. And he's from the high tech industry, and then when 9/11 occurred he joined the military, I believe as a helicopter pilot. He's since in a business where he owns a bunch of storage centers. SM: It's interesting, Chuck, that when Fish, Wildlife and Parks got after him for claiming to have residency for hunting licenses that he accused, or at least his campaign accused, the State Fish, Wildlife and Parks as being part of the "deep state." CJ: Yeah, he did. He's clearly lining up with Trump as much as he can and of course references to Trump standing up to the press, standing up to the left, standing up to this and that. So, he's full bore with Trump, which may or may not be a smart move. We'll see. SM: Well I'm not sure what the deep state is, but I'm almost certain Montana, Fish Wildlife and Parks is not it. CJ: No, I don't think anyone would say that. He's basically alleging that they targeted him because of his politics, and we don't really have any evidence of that. SM: So we have Troy Downing lining up with Trump, Matt Rosendale lining up with Bannon, and then we have Russell Fagg, the former state district judge who's really aligned with what would be called Montana's establishment Republicans. CJ: Yeah that's correct Sally. Russell Fagg has endorsements from former Governors Mark Racicot, the late Governor Judy Martz, former Governor Stan Stephens, former Congressman Denny Rehberg, former Congressman Rick Hill. He has these supporters but so far he's been pretty invisible on the campaign trail in press releases and media. So I don't know if he will start upping his performance in the winter, but he's going to have to because I think especially Rosendale has something like 30 legislators endorsing him. Former congressman Ron Marlenee. He's got Ted Cruz, the U.S. senator from Texas and the U.S. senator from Utah. So he's got a lot of support going and I think at this stage anyway he's probably the leader of the Republican pack, but a lot could change. We still got six months to go. SM: Right. Rob, in the House race there is a slew of Democrats, five so far, who want to face Greg Gianforte on the ballot, and arguably none of them, unlike in the Senate race, have statewide name recognition. Rob Saldin: Yeah absolutely. These are a lot of fresh faces. John Heenan an attorney from Billings was the first to declare his candidacy. Next out of the gate was Grant Kier of Missoula who spent 10 years as the director of Five Valleys Land Trust, which puts together conservation easements and is one of the more prominent nonprofits in western Montana. The third candidate to declare was Kathleen Williams of Bozeman. 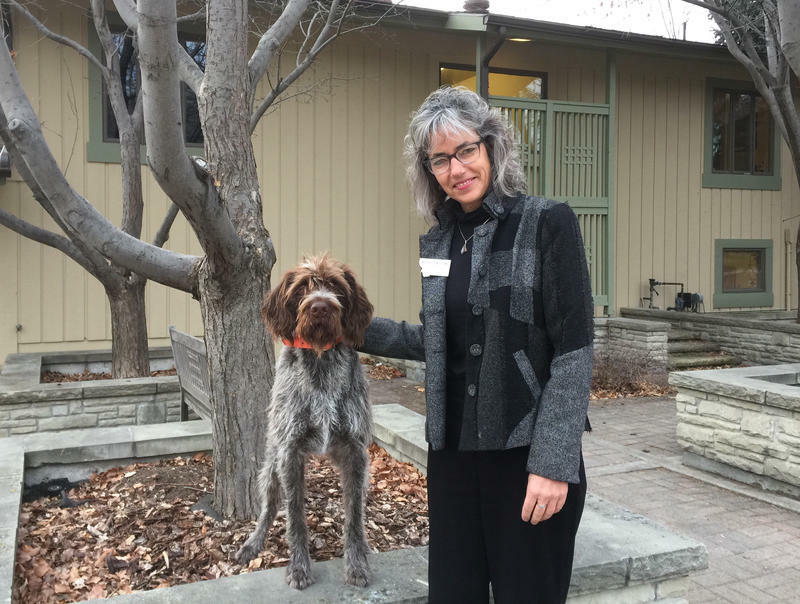 She served three terms in the state House and is now working for a conservation group in Bozeman called the Western Landowners Alliance. The next in was Jared Pettinato, an attorney in Bozeman who recently returned to Montana after 9 years with the U.S. Department of Justice in Washington D.C. And then finally there's Lynda Moss of Billings. She is the most recent candidate to file. She's a former state senator, also served as majority whip in the leadership during her time in Helena. SM: Well Rob, John Heenan likely this early in the campaign has the advantage because he got in first and he's been very active putting out press releases and traveling the state, and he has some money. RS: That's right. Although I'd say probably Heenan is maybe the co-frontrunner along with Grant Kier, and here's why: in this early stage of a campaign, I look for whether candidates can get over the hurdle of demonstrating just basic viability in terms of putting together and running a plausible campaign. And the best indicator we have of that is fundraising. Now, the only two candidates who filed campaign finance reports in October were Heenan and Kier, because they were the only official candidates at that point. And they were both right around $200,000, although Heenan also threw in a $100,000 of his own money on top of that. But the bottom line is that those are solid fundraising totals that to me indicate that both Heenan and Kier have what it takes to run a serious campaign. And the other candidates haven't demonstrated that. Now it's entirely possible that one or more of those other candidates will be able to make the jump into the top tier, and I'll be keeping an eye on Williams as maybe the most likely to make that leap. But we'll have a much better sense of that later this month when the next fundraising reports are due. RS: You know as you pointed out earlier, these are fresh faces, they don't have a lot of name recognition around the state. And so it is a pretty open race at this point I'd say. SM: Well money is key in all of these races and the lack of money is why one Democrat Bozeman legislator Tom Woods dropped out of the race this week. Woods: It's about the numbers. There's a couple of folks in the race here who have raised about 10 to 15 times as much money as I have. We're heading into a time in the race where you really have to start spending money on media. And I just don't have it. SM: Woods also called running for Congress "a rich man's game," Rob, and he's right. RS: There's just no question that money is absolutely essential to running a viable campaign. You need it for the basics, like just simply getting from here to there and setting up an online presence. But also of course for paying for staff, buying airtime and so on. But I guess I'd also caution that we can sometimes get a touch overly cynical about the role of money in politics. And what I mean by that is that in this kind of context at least, we should maybe avoid lurching to the conclusion that money is some kind of entirely independent factor that determines election outcomes. The reality is that fundraising happens to be a pretty good proxy for the level of support and enthusiasm a candidate is able to generate among voters. So if you're really struggling to raise money, you know that's bad news, not only for the crass necessity of having to pay the bills, but also because it reflects the amount of support you've been able to generate among party leaders and the voters. Right. So these things tend to go hand in hand. SM: Well, I'll try not to lurch. CJ: I'd agree with Rob, Sally. And I also think that's why early endorsements are key because that sends a message to other members of that party, that hey, this person has passed muster with these former state officials or current state officials or legislators or whatever. I think those two are probably a really good combination to see how viable a candidate is. SM: Well incumbents are usually seen as having the advantage in these races, but in Gianforte's case, his first term has been shorter than a normal term, and he's still carrying the baggage of having assaulted a reporter during the campaign. Do you guys think that makes him more vulnerable than an incumbent normally would be? And go to you first, Rob. RS: Well sure. I mean I guess I'd also just in addition to what you mentioned also point to some of the things that we just know about midterms in general. Midterms tend to be tough for the party that controls the White House. And on top of that just general trend which would seem to favor Democrats, what we've seen with the special elections over the past year is that all of the energy and enthusiasm is with the Democrats, right. Even in most of those cases when Republicans held on to seats, including the one in Montana and the Gianforte won, they were winning by far smaller margins than would be expected. And that's of course before you get to all of Gianforte's personal baggage, which has been kind of front and center with him since the assault the night before the election back in the spring. SM: But, Chuck, Montana's still a red state. CJ: Well, it's a red state or a purple state or however you want to describe it. We tend to elect Republicans to the state Legislature, usually we elect Democrats to most of the statewide offices, not all of them, and we go in these cycles for governor where we'll elect Democrats for 12 or 16 years and then elect Republicans for 12 or 16 years. So, I don't know that I'd call it a red state. But I think it's certainly, in terms of that congressional seat, it's been red for, well, since Pat Williams didn't run in 1996. And the other thing is political science research shows that the toughest race a member of Congress will have is usually the first one he or she faces; first re-election campaign. That's when they're the most vulnerable to defeat. So I don't know how all that adds up. SM: Well one thing's for sure; both these races, the House race with Greg Gianforte, and the Senate race with incumbent Jon Tester, are going to be intriguing to follow, and we will continue to do that. You've been listening to "Campaign Beat," our weekly political analysis program. I'm Sally Maak and I've been speaking with veteran Capitol reporter Chuck Johnson and University of Montana Political Science Professor Rob Saldin, and guys, we'll reconvene next week. Thanks. A candidate for U.S. Senate in Montana who received an endorsement by former White House strategist Steve Bannon is keeping quiet after Bannon made comments critical of President Trump. Bozeman Democrat Tom Woods is dropping out of the race for Montana’s only congressional seat because he’s not raised enough money to continue a competitive campaign. Woods made his announcement to supporters on social media. He says making the decision to drop out wasn’t easy. At an appearance in Missoula Tuesday, Senator Jon Tester said he’s recently changed his mind about a contentious political issue in Montana. Democratic governor Steve Bullock released a statement today criticizing the tax reform bill moving through Congress for increasing the national debt without reducing taxes on the middle class. Democratic Senator Jon Tester has already criticized the bill because of cuts to Medicare and Medicaid.